Chances are you’re cleaning with dirty water. Traditional floor cleaning puts the dirt from the floor into the bucket then back to the floor again. The use of a single cavity bucket limits proper cleaning because the solution is contaminated with the soiled rinse water. Dual bucket systems not only prevent cross-contamination, but they are also significantly lighter when full because only half of the bucket is filled. Buckets should also be fitted with quick release valves for wastewater dumping to prevent awkward lifting into sinks. Cotton string mops are full of germs. Microfiber flat mops paired with dual compartment buckets are an effective way to clean for health and sanitation. Together, they prevent surface and mop head re-soiling. The dense microfiber blend promotes deeper penetration for cleaner surfaces. Compared to a traditional mop head, microfiber mops can reduce bacteria by 96 percent. “Cheaper” cotton string mops are costing you. While microfiber mops can cost up to three times the price of traditional cotton mops, they last for significantly more washings (some up to 500) and maintain effectiveness much longer. Microfiber durability and effectiveness maximizes the ROI within the first 150 washings. Of all the tasks janitors perform, mopping is among the most dangerous. Mopping is the second-leading cause of cleaning-related injuries: These types of injuries result in significant financial loss to organizations in time, production efficiency, and worker’s compensation. If floor cleaning is a key service in business operations, it’s imperative to reduce or remove the possibility of repetitive motion injuries by choosing the appropriate, ergonomically designed tool for the task at hand. Cleaners have a 10lb weight attached to the end of their mop. 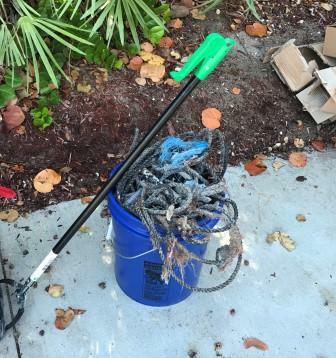 The most common sizes of wet string mops weigh between 16 and 24 ounces; these mops can triple in weight when wet. A 24-inch microfiber mop frame and handle with a damp mop pad attached weighs just over 2 pounds. Variations of the cotton string mop are still being used throughout the cleaning industry, despite advancements in materials. This is especially concerning because a wet string mop can weigh up to three times its dry weight, making it extremely hard on the wrists, hips, and back. Add a bucket of water that can tip the scales at 40 pounds and suddenly floor cleaning becomes a herculean task. Repetitive Stress Injuries (RSIs) lead to an average of 18 lost work days per injury. Most of a custodian’s time is devoted to floor care, providing lots of opportunities to develop repetitive stress injuries (RSI) – the second leading cause of cleaning-related injuries. The term RSI encompasses injuries that affect bones, muscles, nerves, and tendons due to overuse. This can be incredibly costly for organizations, and dangerous for custodians. People don’t all wear the same size shoe, but they are forced to use the same size mop. Mops with telescoping handles are ideal for cleaning processes because they enable the user to customize the tool to their appropriate height. If the handle isn’t suited for the worker, their hands cannot be correctly positioned to properly move the cleaning tool, which leads to awkward posture and ultimately causes high static shoulder muscle load. 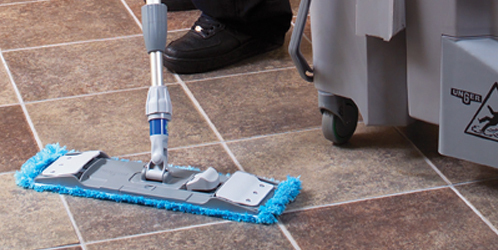 Floor mopping takes up 35–40% of the working time in most cleaning jobs. Microfiber mops are versatile, easy to clean and have longer life cycles than other mop materials in the marketplace. If the user is properly trained with the S-motion mopping technique, microfiber mops can quickly cover expansive areas with significantly less repetitious motion to the hips. Reduced weight also puts less strain on the worker’s back and prevents fatigue over time. by Brianna Crandall — April 13, 2018 — Unger Enterprises, worldwide manufacturer of high-quality, ergonomic professional cleaning and maintenance tools, recently announced the launch of the Unger Excella floor cleaning system, which the company says has been independently verified to clean and seal floors twice as fast as traditional methods. An independent study conducted by ManageMen, Inc., in January of this year concluded that the Unger Excella cleaned 4,878 square feet per hour, compared to just 2,564 square feet per hour with a 24 oz. string mop head, in effect nearly doubling efficiency. The Unger Excella combines rubber-coated non-slip, dual-swivel handles and a self-guiding S-curve pole, providing a mopping system that is “self-steering.” The deep-cleaning microfiber pads are 80% lighter than string mops. The system is touted as the first one available that includes both a height-adjustable pole (48″-65″) and the ability to dispense liquid from the bottle on board. This combination of features is designed to provide dramatically faster cleaning with less strain and effort than competitive mops. At Unger, our focus is making tools that get the job done faster and keep employees safer. Unger Excella has a unique design that allows users to use the latest technology and cut labor time in half. The patent-pending elements of the Unger Excella all but eliminate strain and stress on the user and keep them moving at top speed. The majority of a custodian’s time is devoted to floor care, providing lots of opportunities to develop repetitive stress injuries (RSI) – the second leading cause of cleaning-related injuries. The term RSI encompasses injuries that affect bones, muscles, nerves and tendons due to overuse. These types of injuries cause continual and recurring pain and, as a result, employers have a duty to their workers to find a better way to complete this important cleaning task. While there are many factors to consider when deciding how to best service facility floors, the most important is finding the right tool for the right job. The tool should be designed to complete the task quickly and efficiently while keeping the custodian safe. All too often tasks are performed by products designed for one purpose and utilized in a different way. Unfortunately for those that clean, strip and finish floors, the evolution of mopping has been slow. Variations of the cotton string mop are still being used throughout the cleaning industry, despite advancements in materials. This is especially concerning because when wet, a string mop can weigh up to three times its dry weight, making it extremely hard on the wrists, hips and back. Add a bucket of water that can tip the scales at 40 pounds and suddenly floor cleaning becomes a herculean task. RSIs don’t only affect workers. These types of injuries result in significant financial loss to organizations in time, production efficiency and worker’s compensation. So, if floor cleaning is a key service in business operations, it’s imperative to reduce or remove the possibility of repetitive motion injuries by choosing the appropriate, ergonomically designed tool for the task at hand. Microfibre mops are ideal for floor cleaning because they require less water and chemicals than traditional cotton string mops, making them significantly lighter. (They weigh approximately two pounds, including handle, when wet.) Microfibre mops are also versatile, easy to clean and have longer life cycles than other mop materials in the marketplace. If the user is properly trained with the S-motion mopping technique, microfibre mops can quickly cover expansive areas with significantly less repetitious motion to the hips. Reduced weight also puts less strain on the worker’s back and prevents fatigue over time. Mops with telescoping handles are ideal for cleaning processes because they enable the user to customize the tool to their appropriate height. If the handle isn’t suited for the worker, their hands cannot be correctly positioned to properly move the cleaning tool, which leads to awkward posture and ultimately causes high static shoulder muscle load. Mopping should be performed with a handle height that is relatively level with the user’s chin. This helps maintain proper form to avoid strain. Higher can cause poor or limited motion control, and also requires the user to extend too far from the body, resulting in pain in the lower back. Lower can cause stooping and lower back issues. Handles should also be smooth with ergonomic grips to enable the user to guide the mop in the S-motion with limited rubbing, which can lead to blistering. The use of a single cavity bucket limits proper cleaning because the solution is contaminated with the soiled rinse water. Dual bucket systems not only prevent cross-contamination but they are also significantly lighter when full because only half of the bucket is filled. Buckets should also be fitted with quick release valves for wastewater dumping to prevent awkward lifting into sinks. Click here to learn more about the complete Unger Floor Care offering. John Lombardo is vice-president of sales and marketing at Unger Enterprises LLC. For more than 50 years, Unger has created the tools professionals trust to clean and maintain facilities across the globe. In a time of increasing competition and shrinking budgets, building service contractors are looking for ways to maximize every contract. That’s one reason window cleaning has become a popular add-on service in recent years. While many BSCs offer window cleaning, they’re rarely full-service providers. Very often, they do only light window washing in an entryway and subcontract the more involved interior and exterior work to a specialized company. “They’re farming out the business and taking a very low margin on it, when they could have someone in-house do it,” says John Lombardo, global vice president of sales and marketing for Unger Enterprise, Bridgeport, Connecticut. READ MORE. 408 pounds of trash was removed from South Beach Park in Boca Raton on Saturday, September 23rd during International Coastal Cleanup Day. Boca Save our Beaches partnered with 4Ocean and World of Scuba, pulling together over 85 people to help clean Florida beaches. Read the full story here. When hurricanes roll through, the ocean gets stirred up – washing to shore things lost or deliberately placed in the waters. 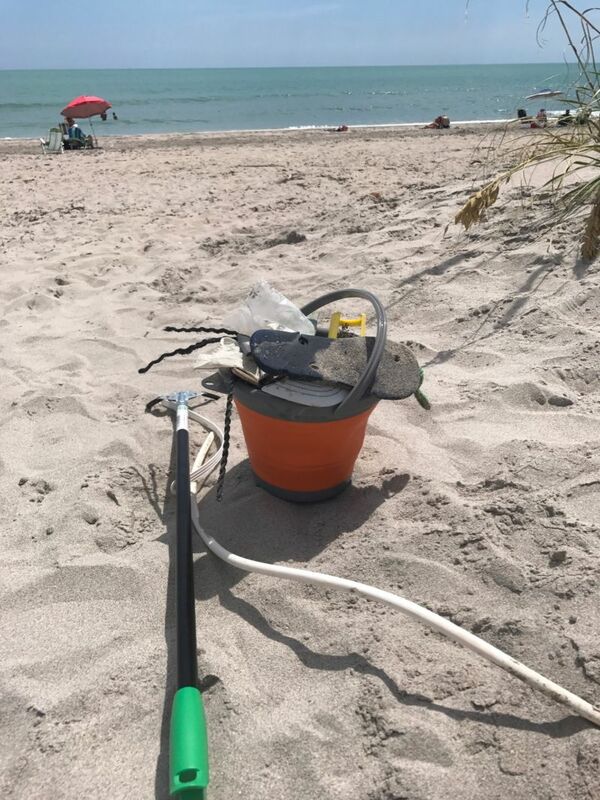 When hurricane Irma hit, volunteers from Boca Save our Beaches were ready to jump in and start with the clean-up effort on our beautiful beaches. Using NiftyNabbers by Unger Enterprises, volunteers were able to quickly jump into action. Read the full story here. Unger: The professional’s choice for safe and effective disaster clean up. These tools and accessories are designed for performance with safety and efficiency in mind, with ergonomic handles and lightweight design to help get cleaning jobs done fast. Learn more here. 2017 Sanitary Maintenance Awards: The votes are in! 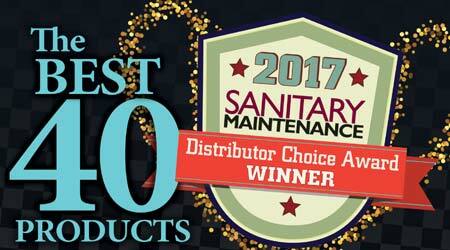 Sanitary Maintenance is proud to present the winners of its fourth annual Distributor Choice Award. To determine the winners, we emailed ballots to Sanitary Maintenance readers earlier this year. We asked these distributors to select their most preferred products. From a field of nearly 350 entries, respondents picked their favorite 40 products. Ballots included products that were featured either in an issue of Sanitary Maintenance or on our website, CleanLink.com, during 2016. READ MORE. (OAKLAND, CA, BRIDGEPORT, CT, February 13, 2017) – The Association of Fitness Studios (AFS) today proudly announced and welcomed the addition ofUnger Enterprises to its membership and sponsorship ranks. READ MORE. Daycare facilities face stringent requirements for hygiene and cleanliness. To reduce janitors’ workloads and potential risks to children through the inhalation of chemical sprays, a daycare facility in Cuxhaven, Germany, now relies on a cleaning solution with impressive ergonomics, cost efficiency and health protection. READ MORE.